Susan Neville is the author of six works of creative nonfiction: Indiana Winter; Fabrication: Essays on Making Things and Making meaning; Twilight in Arcadia; Iconography: A Writer's Meditation; Butler's Big Dance; and Sailing the Inland Sea. Her prize-winning collections of short fiction include In the House of Blue Lights, winner of the Richard Sullivan prize and listed as a 'Notable Book' by the Chicago Tribune, and Invention of Flight, winner of the Flannery O'Connor Award for Short Fiction. Her stories have appeared in the Pushcart Prize anthology and in anthologies including Extreme Fiction (Longman) and The Story Behind the Story (Norton.) She lives in Indianapolis with her husband and two children and teaches writing at Butler University and in the Warren Wilson MFA Program for Writers. In 2015, she won the McGinnis-Ritchie Award from the Southwest Review. 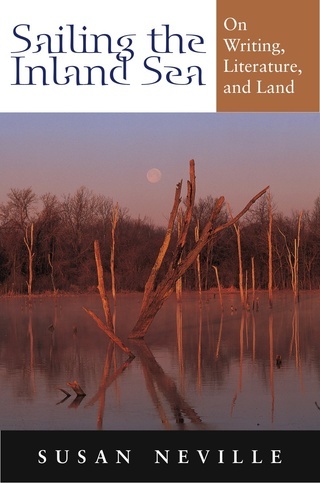 Calling on the image of the Midwest's vanished inland sea, this collection of essays ponders the writing process and the "landlocked imagination." We are a nation of consumers. In this meditation of manufacture, Susan Neville journeys to factories in the heart of the midwest, looking for the sources of things.